Samsung is ready to release their new phone the Samsung Galaxy S9 and S9+. 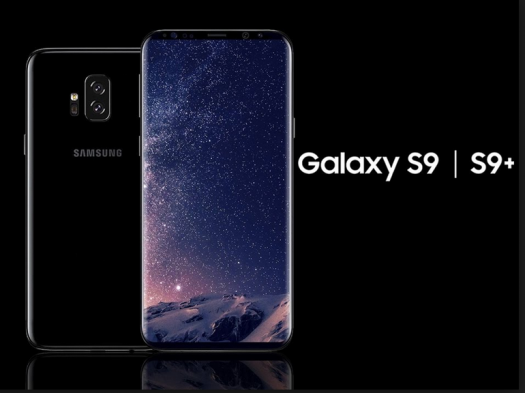 The S9 is said to look slightly similar to the Samsung Galaxy S8 that had been released in 2017. The new phone possibly could come in four different colors blue, purple, gold, and black. The S9 will have a 5.77 inch display while the S9+ will have a 6.22 inch display to help make the new phones thinner and lighter. The S9+ will have a dual camera just like the iPhone X and super slow motion video will come with the phone as well. The phone might included a wireless charger along with a fingerprint sensor that will be under the screen but could also be moved to the back of the phone and facial recognition. There is a possibility that both the S9 and S9+ will have no headphone jack but it will come with Bluetooth headphones and stereo speakers. Samsung has improved the new phone to have a longer battery life. Along with all these features the phone is said to be water-resistant. Samsung has yet to release a price for their new phone rumors say it could cost around the $725 range. The Samsung Galaxy S8 was very popular and you expect the S9 to be just as popular if not more popular. With all these features you can expect these phones to sell at fast so if you want to get your hands on one you better be ready to act fast. Samsung is hoping to release the S9 and S9+ in either the end of February or March.